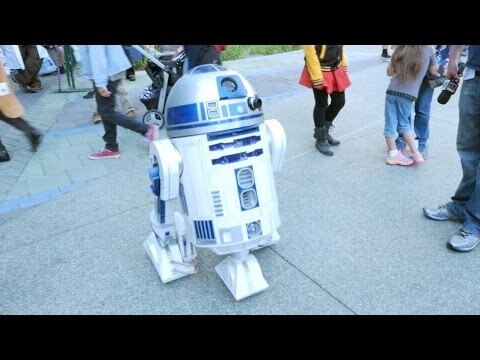 Here is the cutest R2D2 ever! I am a bit disappointed that I can't upload a sig picture. I guess I should get a photobucket account if it's important. Hmmm. I guess it's not THAT important. So what about forum titles? YouTube embeds? Oh, man, if we get Vine and Twitter, too, the CO Off Topic topic may get a little weird. Weirder. OK, it was window-licking madness to begin with, I'm not so sure it can get weirder. Think I've had enough new forums horseplay for one day. Madness? You ain't seen nothin' until you've seen STO's Ban Thread. We all here 'cuz we're not all there tonight! Thanks for the reply. I might bother to open an account to upload one picture. Does anyone know how to get the signatures working on here? So far I find them horrible to read. Way too much clutter and not enough text. Also, it would be really nice if there was a direct link to the forums on the front page. By the time I'm done navigating through all the links in 'social' my inclination to post is pretty much over. You may want to bookmark a direct link to the forums; that would help. I use http://perfectworld.vanillaforums.com. Yea... getting to the forums is pretty clunky. I'd suggest just bookmarking the forum page in your web browser for easy access. Good suggestion. But for the site itself, they may still want to change it. Also, is there a way to disable signature images from other people? It wasn't as bad on VBulletin, but here it makes things a pain to read. Same goes for those Youtube embeds by the way. I use Photobucket, but another useful site is Tinypic, which does not require an account. Click on the Preferences button in the upper right hand corner. Click on Signature Settings on the left. You can hide signature images (and even signatures themselves). Unfortunately, I haven't seen anything to disable any of the inline stuff...meh. And free reign to post pics in any thread so far. I admit its gonna take some getting used to, but I'm liking the ability to flag posts for mods instead of having to PM them. Who knows. Maybe the weekends won't be so safe for flamebait threads anymore. I'm also under the impression that mods would be allowed to discipline each other's communities, though I'm not really sure about that. You could also try imgur - very easy to use, no account needed. I hope not. I mean I can understand having them poke in every once in a while to cover if necessary, but we STO Forumites have a bit of an understanding with bluegeek and askray. They know how we operate and even join in on our shenanigans. We get some outside Mod coming in, they might think we're insane and ban us all! As far as I know, and the quick discussion I've had today with Trendy, no. STO mods are STO mods, NW mods are NW mods and so fourth. I've been talking to one of the guys who haunted the Neverwinter forums. The story ain't pretty... Delta Rising level rage from the forumites, and apparently the mods are cranky. Alright. Photobucket is a web hazard to be avoided at all costs. No signature is worth THAT! I mean, Photobucket has spam, is spam, and it wants to invade your space like cyber Ebola. Like I said. Dropbox or DeviantArt. They work. Alright. Photobucket is a web hazard to be avoided at all costs. No signature is worth THAT! I personally use imgur for most of my image hosting that doesn't need to be on my server. That should work! That's kind of surprising, actually. Well, on one hand it is - on another, not so much. On the surprising hand, it's kind of surprising because having more mods out and about would help standardize things while providing for potential coverage of various gaps.